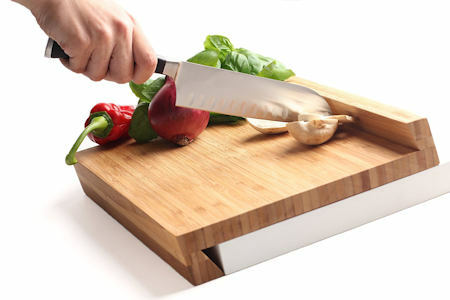 The Magisso Cutting Board combines innovative functionalities making it the perfect workbench of the kitchen. It makes cutting easier, safer and cleaner. 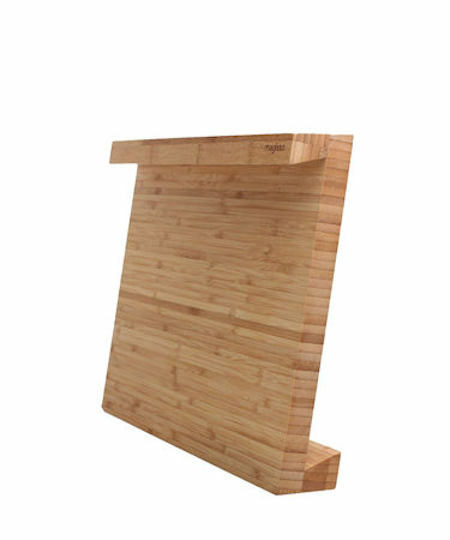 Edges on both sides of the cutting board are designed to make it stable to use against the edge of the kitchen counter. This unique design gives extra support for the kitchen knife and makes chopping easier. The edges also keep the ingredients from spreading while scooping them to a pan.